The son of John Landseer, Edwin Landseer was a painter, engraver and author, and lived at number 1, later number 18, St Johns Wood Road from 1825 until his death in 1873. 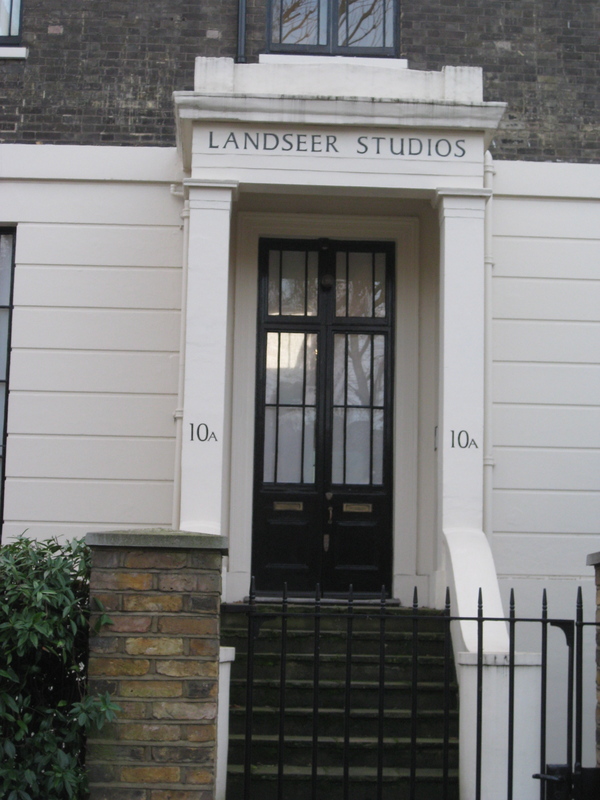 His first home at this address was a small cottage on the site of Punker’s Barn, at the junction of St John’s Wood Road and Lisson Grove. 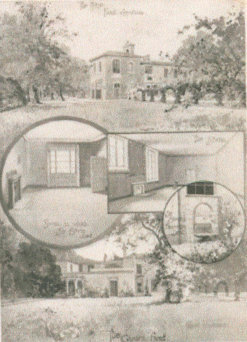 This was later demolished in 1844 to make place for a small but “rather aristocratic” house (built by Thomas Cubitt, who also built Osborne House on the Isle of Wight for Queen Victoria) which had a small dining room, a billiard room and two larger rooms which Landseer used as a studio, and a room to store props. 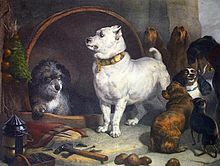 In addition was a spacious garden and stables – occasionally used to house animals, live or dead, which Landseer needed as models. There is the story, supposed to have originated with Charles Dickens, of an evening at the house with several of Landseer’s friends when his stony-faced manservant suddenly appeared and enquired “Did you order a lion, sir?”. It appeared that the lion at the London Zoo, which had been a model for Landseer, had suddenly died and so the secretary of the Zoological Society had sent it straightaway in a cart to Landseer’s home. 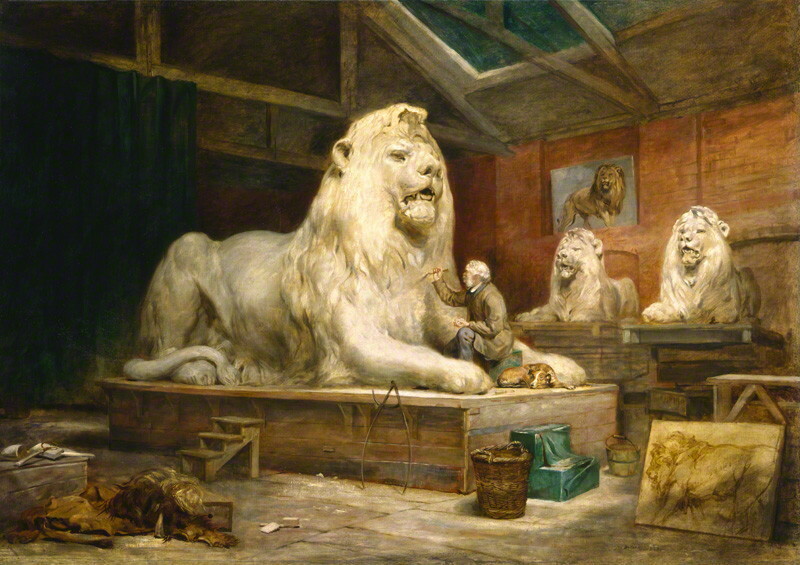 It, no doubt, served again as a model, perhaps for his sculptures of the lions surrounding Nelson’s column in Trafalgar Square. These were first prepared in 1860 in his studio then carved and cast in 1866 in the studio of another sculptor, Baron Marochetti A painting of him carving these by John Ballantyne is in the National Portrait Gallery. 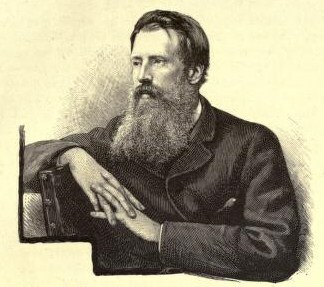 After a visit to Scotland with C.R. 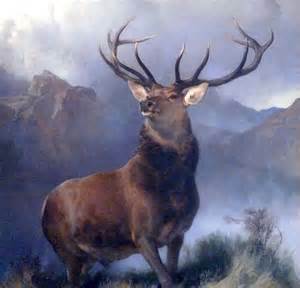 Leslie, he was inspired to paint several pictures which are now famous like The Deer-stalker’s Return and Monarch of the Glen. Amongst his sitters and pupils were many distinguished people. He painted various members of the royal family, and taught Queen Victoria and the Prince Consort to etch. And as a result, no doubt, he was knighted in 1850. In 1860, he developed symptoms of depression and did not paint for several years. A railway accident in 1868 was said to have aggravated this problem so that after some years of mental suffering he died in 1873. Said at the time to have been “the most popular painter England ever had” he was buried in St Paul’s Cathedral. His house was afterwards occupied by Henry William Banks Davis, RA, a successful landscape painter who had been living at 10a Cunningham Place, adjacent to Landseer’s home. He lived in Landseer’s house until 1892, just before its demolition in 1894 to make way for Wharnecliffe Gardens. This was a large block of artisans’ dwellings built by the Great Central Railway to re-house those residents whose houses were demolished to make way for the railway and Marylebone Station. This block was in turn replaced in the 1970s by flats in an estate of several low-rise blocks. 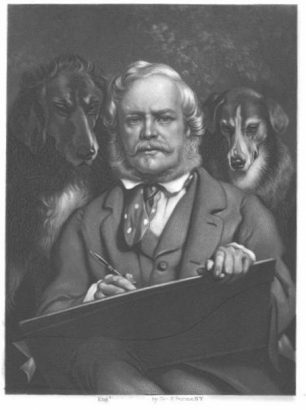 During Landseer’s lifetime family members had moved close by: Edwin’s brother Thomas, an eminent engraver had a studio at 10b Cunningham Place from 1844-1877 followed by Thomas’s son, George who was at 10a Cunningham Place between 1849 and 1858. 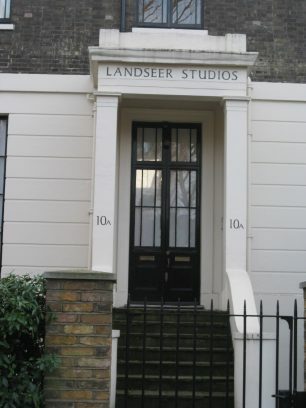 10 Cunningham Place continued to house artists, including Hans Feibusch, (see under Artists) and still has the sign LANDSEER STUDIOS over the door.